ANIMAL SERVICE LEAGUE has had the privilege of assisting in rehoming nearly 1,500 dogs and cats since 1996. Time marches on, however, and due to limitations imposed by the aging current administration, as well as the lack of foster homes and volunteers to continue our work, ASL is no longer taking in new foster animals. If you are looking for rehoming services, we will do our best to help you find an appropriate organization to help you, however. ANIMAL SERVICE LEAGUE is an organized group of volunteer members dedicated to issues of animal welfare based in Cass County, Michigan. The purpose of the organization is to help improve the quality of life of all animals in need in the Michiana area and to promote the education of its citizens with reference to the animals' humane care and treatment. Our prime concern addresses the problem of pet overpopulation. Our efforts focus on educating the public about this vital issue and offering financial assistance to pet owners, such as the elderly and those on fixed low incomes, to help them get their pets properly vaccinated, spayed and neutered. We have set up educational programs in our local schools because we feel that educating the children in proper pet care and treatment is a first step toward engendering their respect of and compassion for animals as sentient creatures entitled to love, kindness, food, water and essential medical care. We appreciate Petmeds donated items to help take care of our pets. ANIMAL SERVICE LEAGUE volunteers offer their homes and time to foster pets "in transit" to new homes. We have no central facility. We advertise in People's Peddler, a monthly publication of classified ads, that is distributed throughout the Midwest. 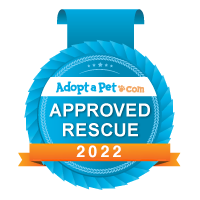 Our goals are never ending in an attemp to provide the very best homes for our foster animals. In that effort, we require adoption applications to be completed for each proposed adoption. One of our volunteers makes a personal in-home interview with the prospective adoptive family before the adoption is approved and follow-up calls during the first 60 days after placement. We are registered 501(c)3 with the IRS and funded entirely by public contributions. We must rely solely on the generosity of public support to continue our work. We do offer annual "memberships" in the league for $10.00 and encourage our members to actively participate in our various fundraising efforts, which include pet walks, periodic bake and craft sales, raffles, holiday photo shoots and strategically placed donation canisters. ......speaking out for those who cannot speak for themselves. Every time a completed application for a ShelterCare program is generated through our shelter’s website,we automatically receive a $25 donation to help cover common needs like blankets,litter and food.This donation is of no cost to you and provides us with essential funds. Copyright © 2006 Animal Service League. All rights reserved.